The target for prospective patient recruitment by 2022 is 13,150 patients with severe asthma. 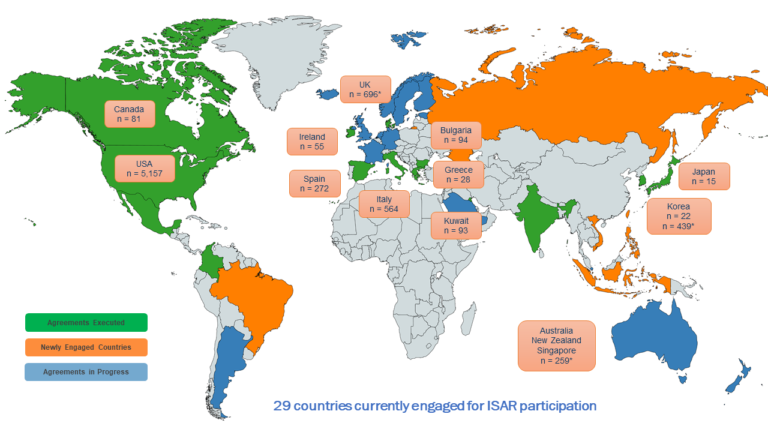 The International Severe Asthma Registry is a global collaborative initiative to gather anonymous longitudinal real-life data for patients with severe asthma from over 14 countries to conduct research. ISAR will offer a rich source of real-life data for scientific research to understand and improve symptoms, treatments and patient outcomes for severe asthma. The database will also provide an international platform for research collaboration in respiratory medicine.